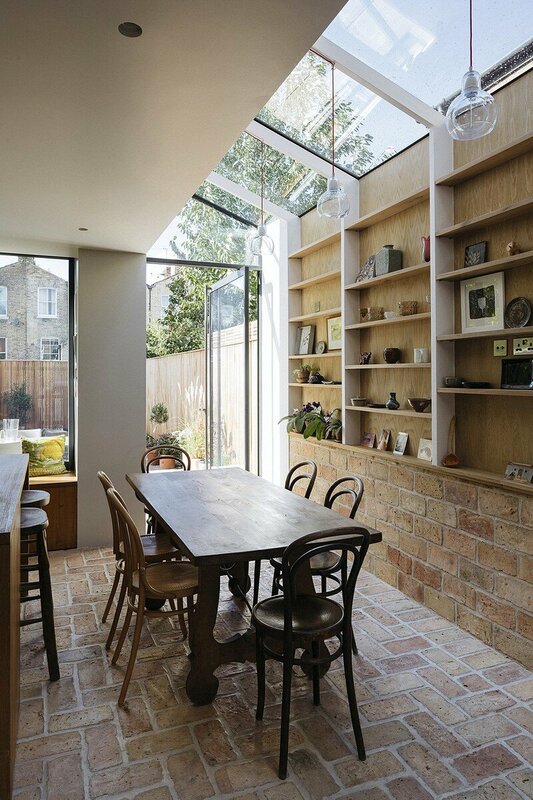 Gallery Brick House is a private house renovated and extended in 2016 by Neil Dusheiko Architects. 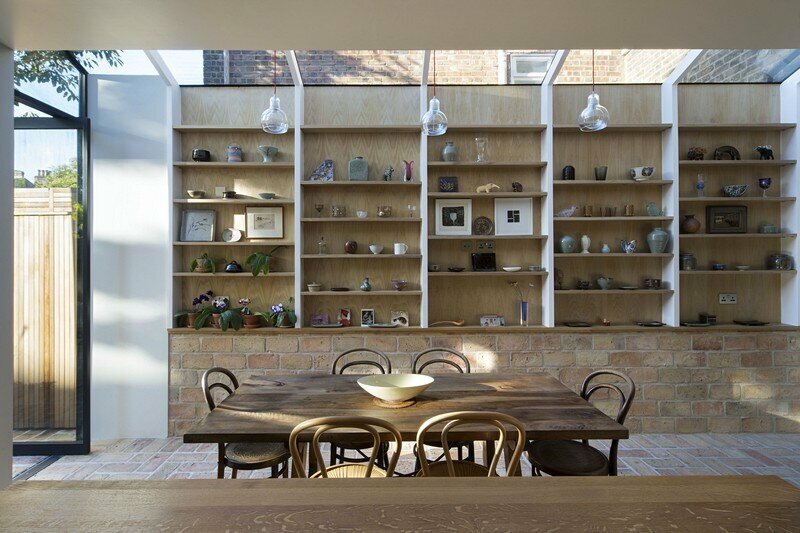 The house is located in London, UK. 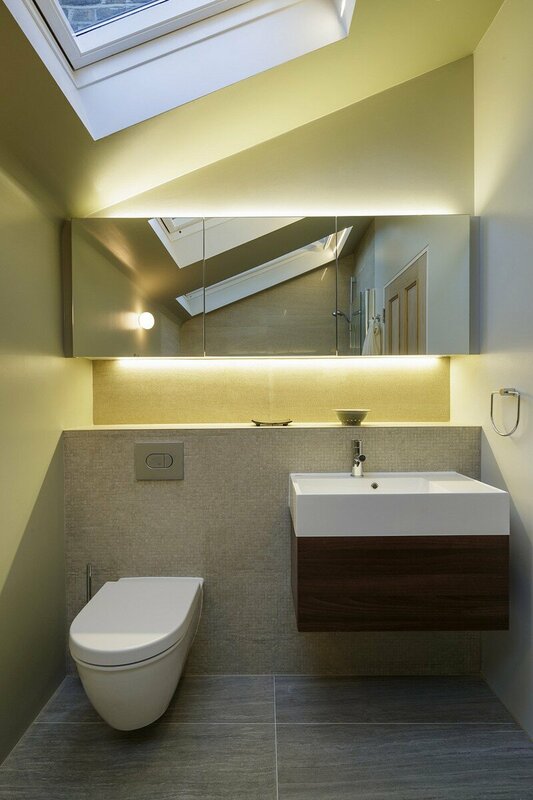 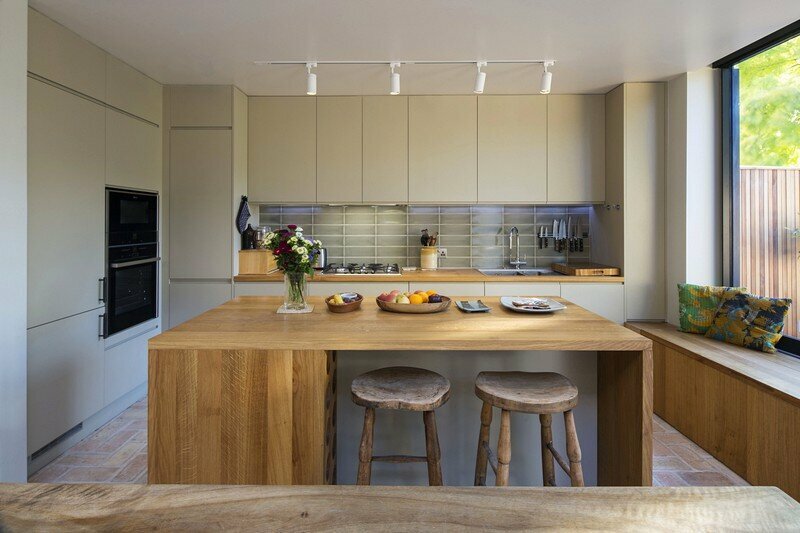 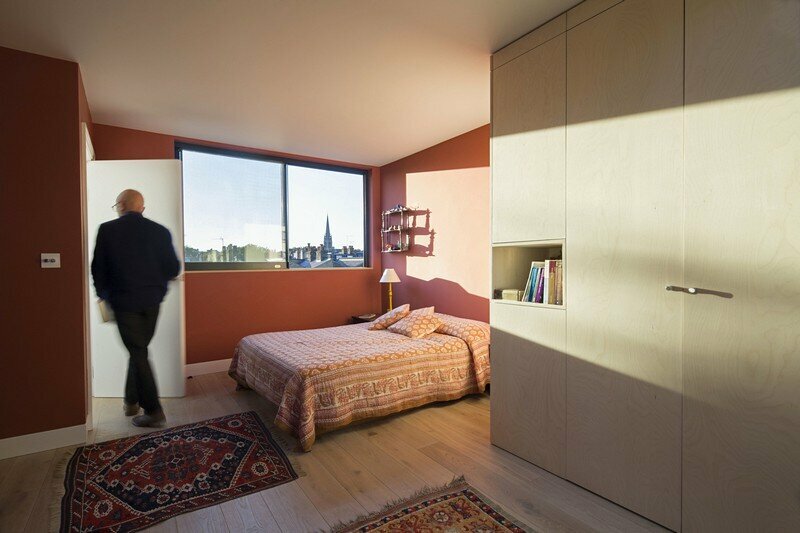 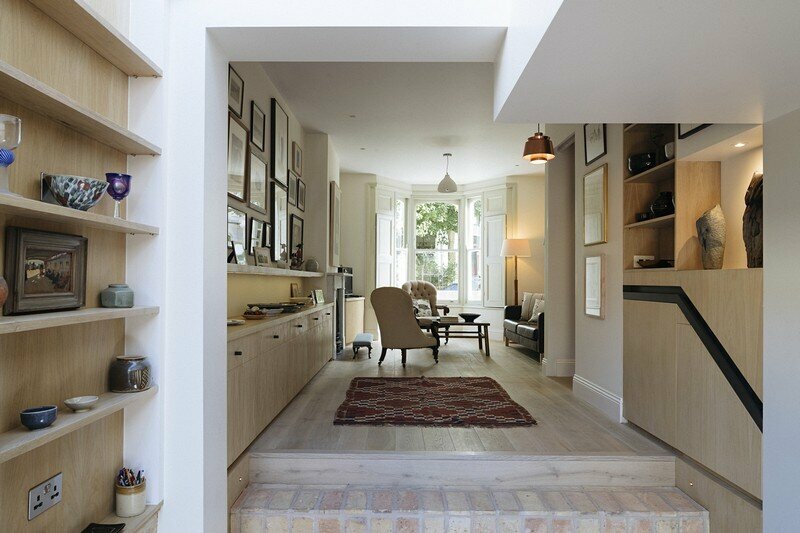 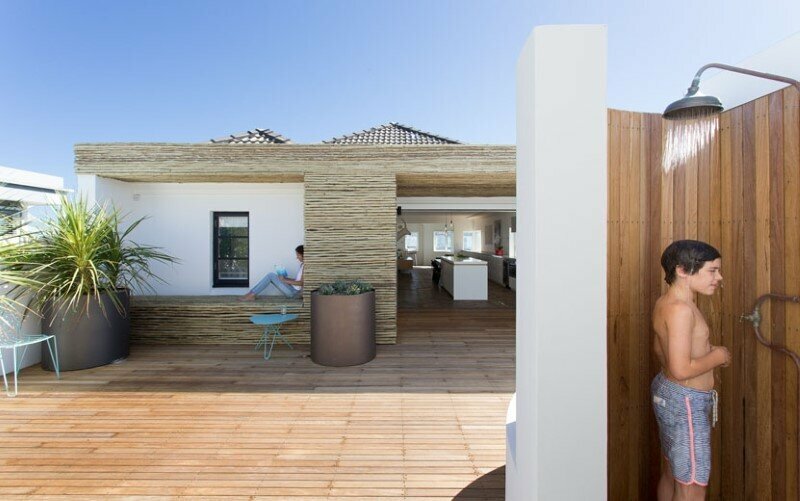 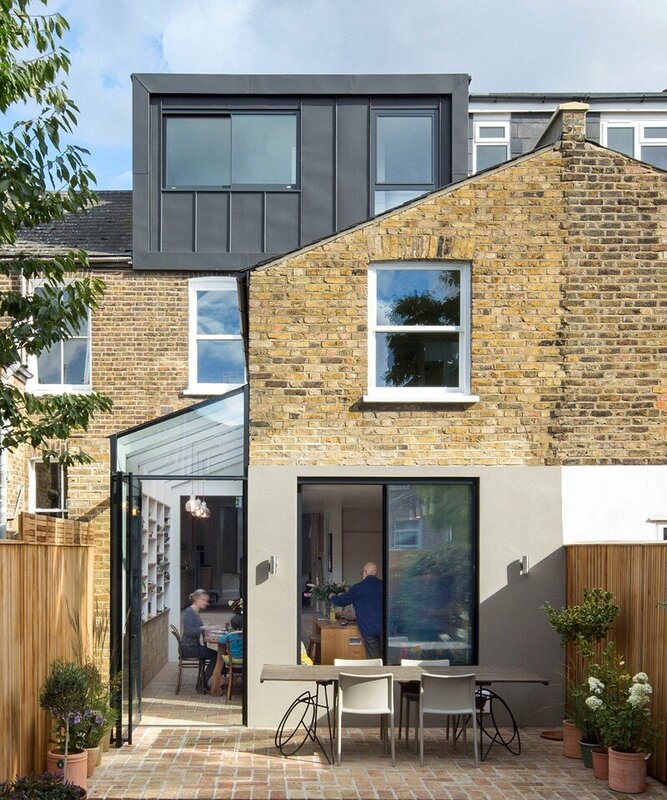 From the architect: Our design adds a new light filled side extension at ground floor level and a new loft bedroom and bathroom above where there was previously unused roof space. 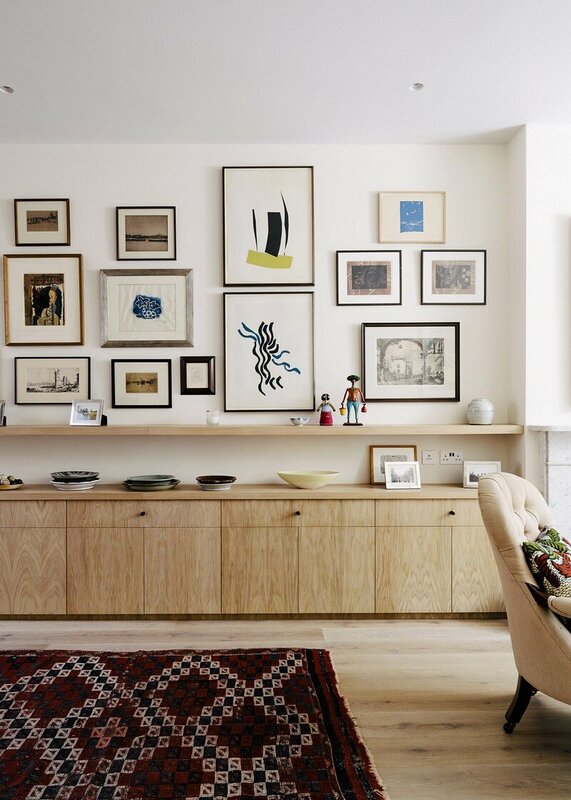 A large open plan living space was created by opening up the front and rear reception rooms, providing ample display space for our client’s extensive art collection. 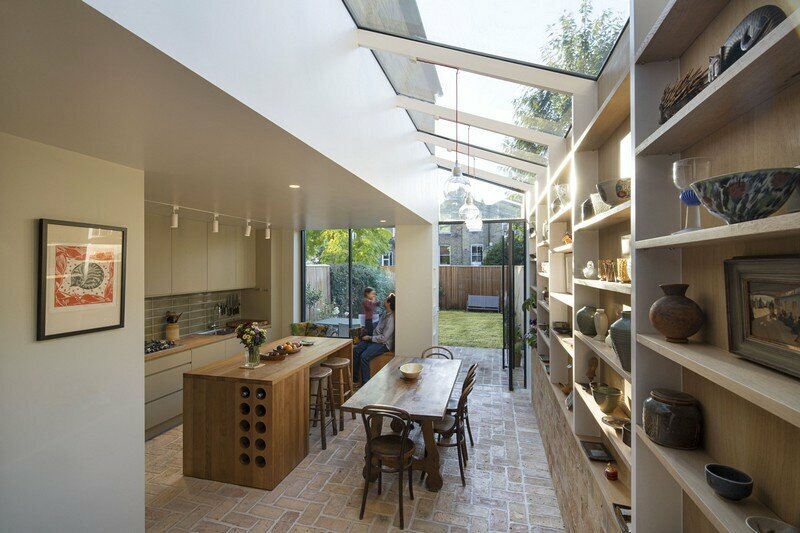 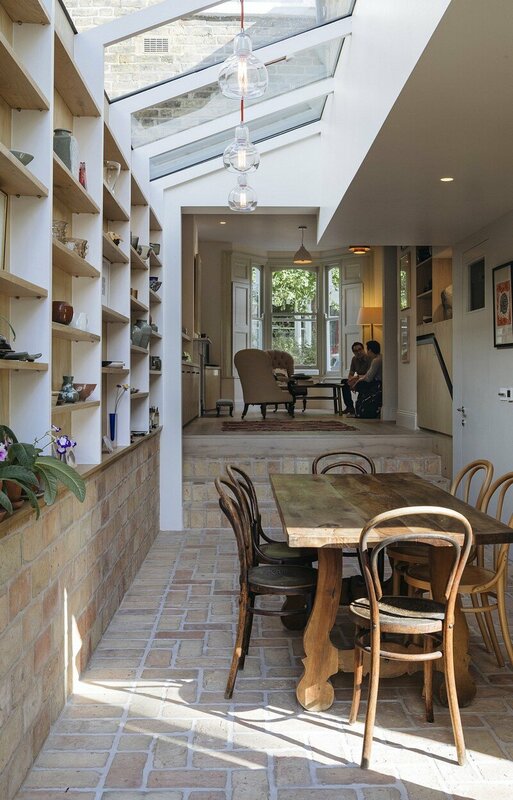 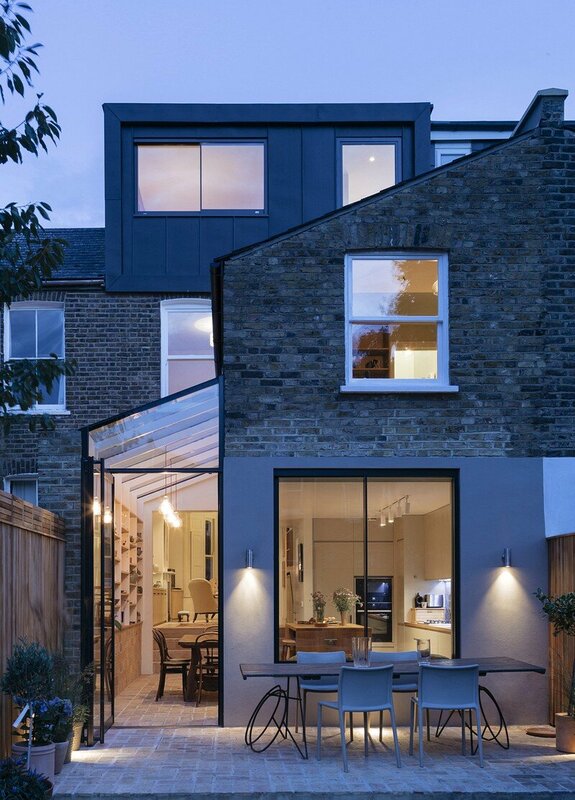 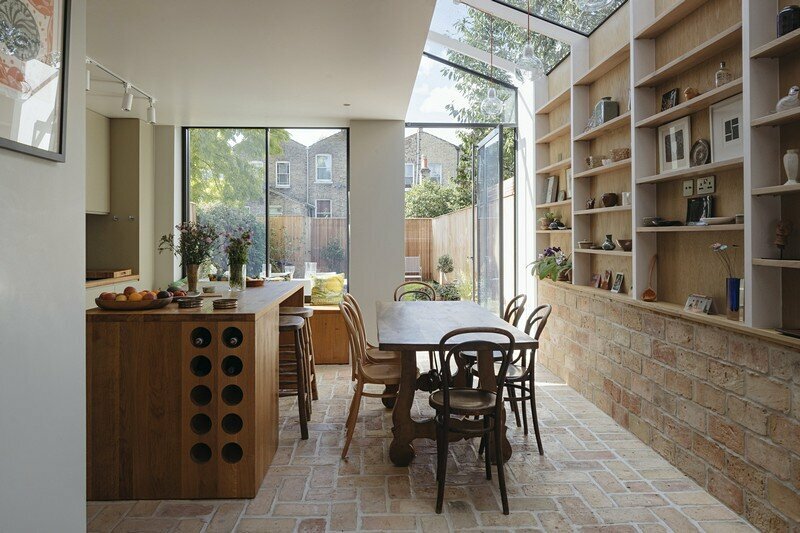 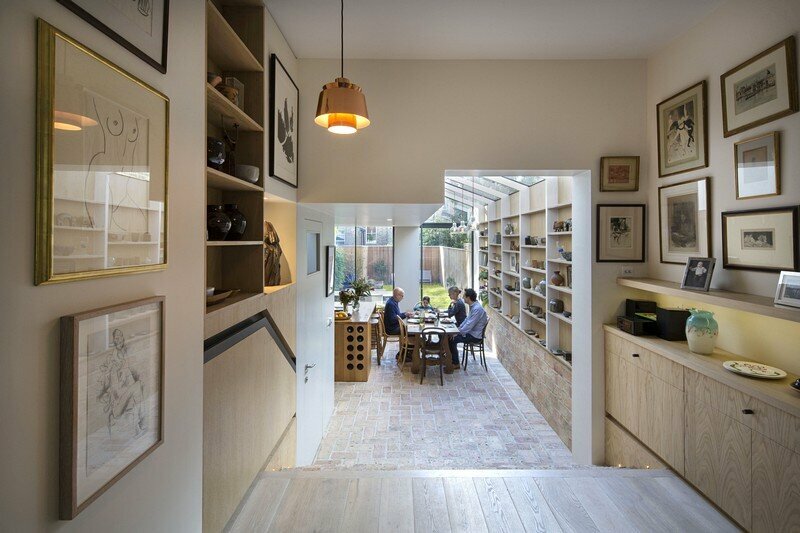 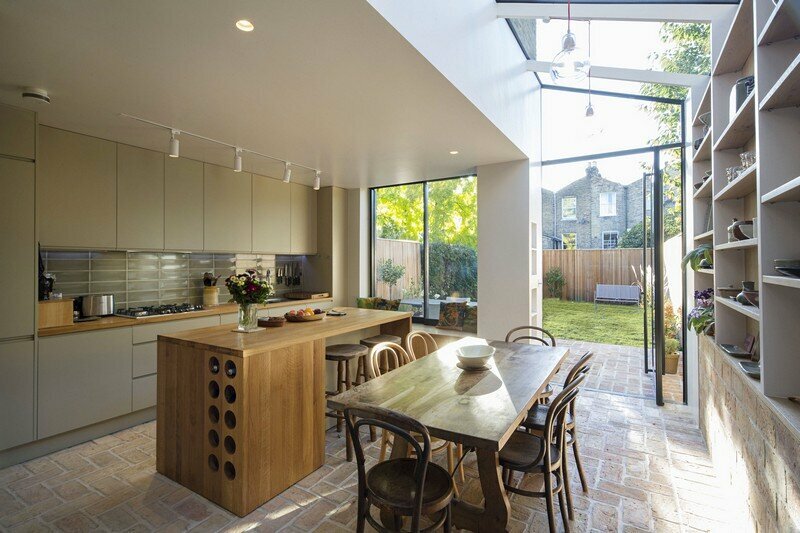 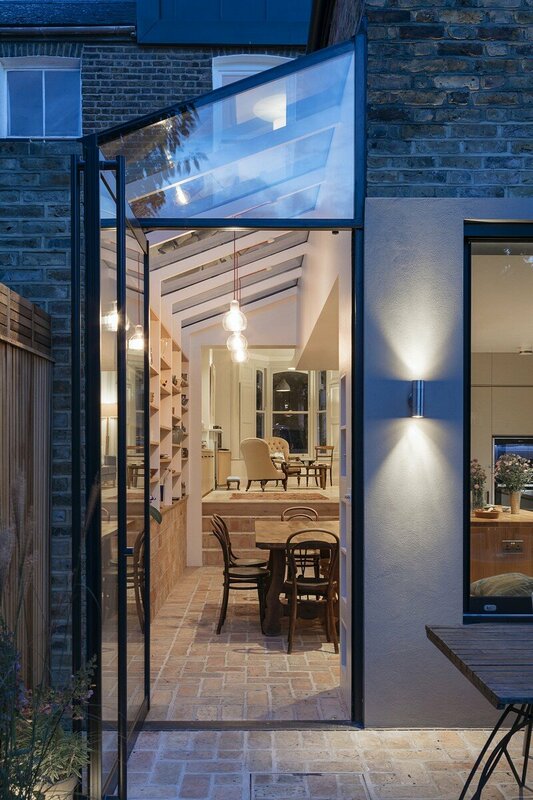 A fully glazed skylight to the side extension allows for increased light levels and improved connections between the spaces linking the front of the house to the rear garden. 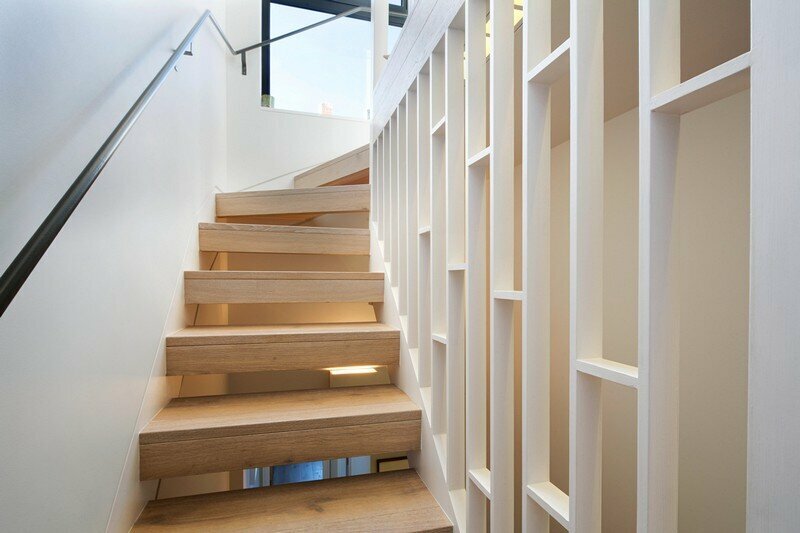 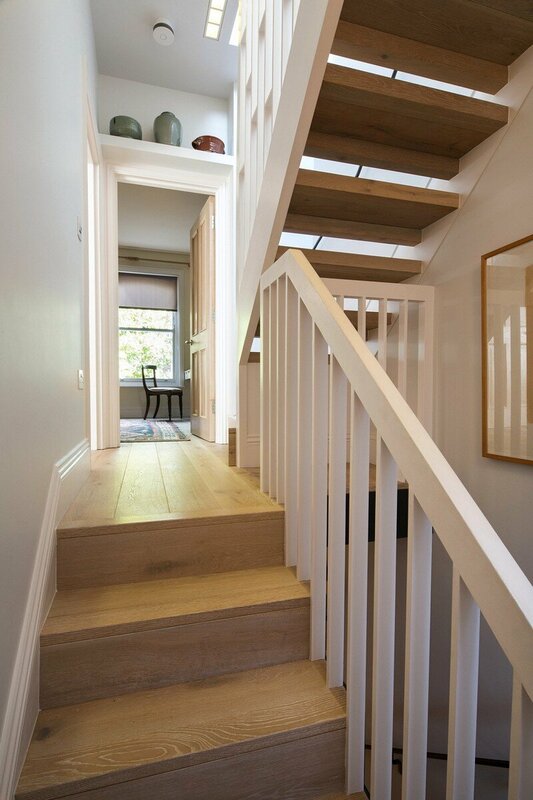 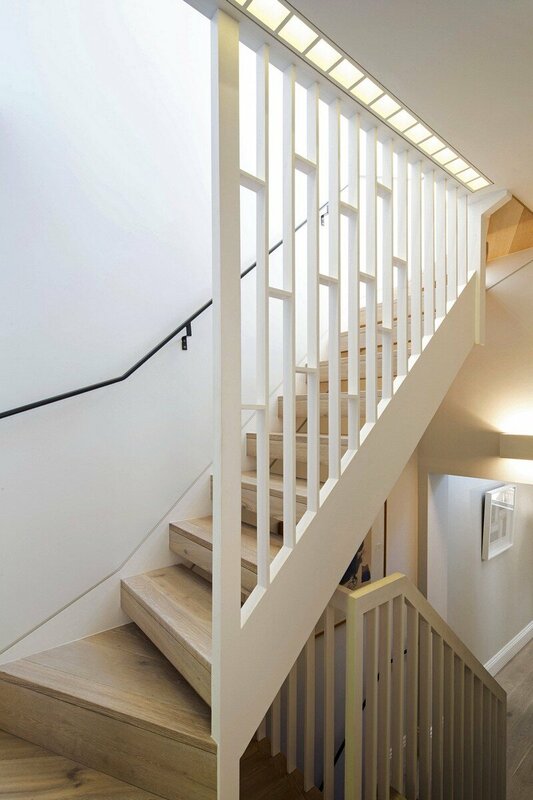 A set of new stairs runs full width across the house marking the connection between the new and old rooms. 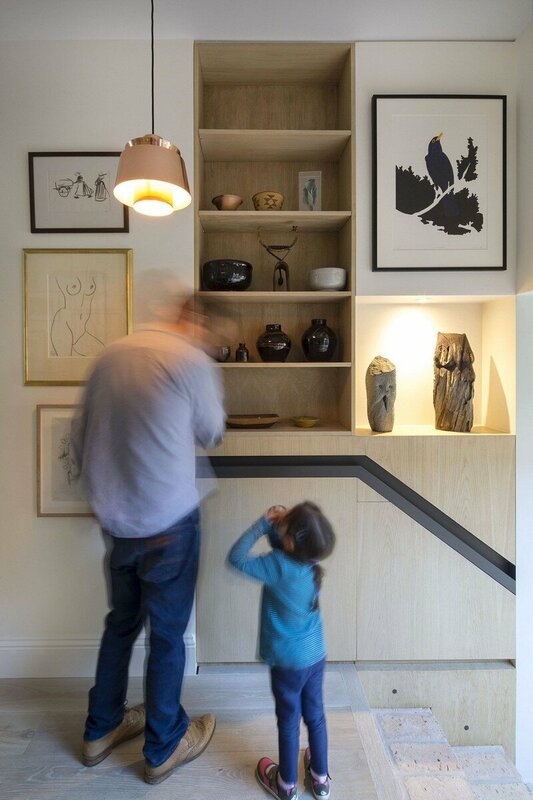 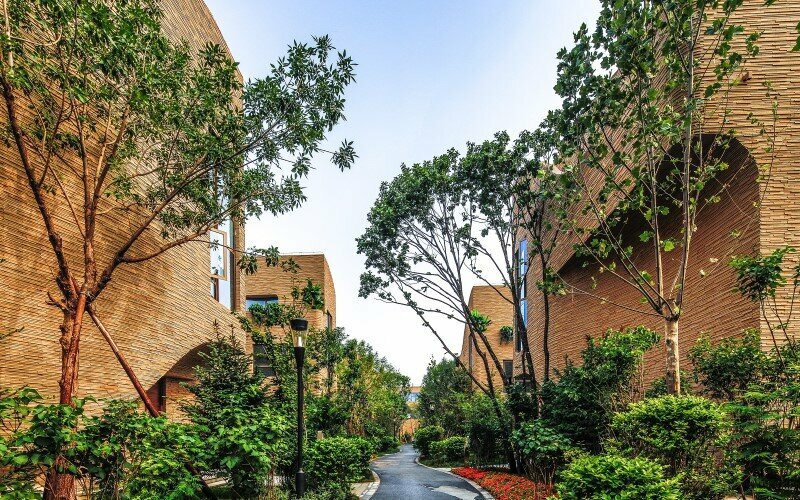 Niches have been carved into the depth of the walls to allow for storage space and for sculptures to be displayed.